The poet Lucien Ducasse said that plagiarism is necessary, since progress is implicit in it. The ingenuity of some builds the sharpness of others. And what is plagiarism but learning? I can understand the fuss, the jokes and not so much the outrage of some with the soap opera that Facebook and Snapchat star. It is normal that Facebook, which is a company whose objective, like all the others, is to generate profits, wants to offer a more attractive product taking advantage of the good ideas of its maximum competitor. The numbers, in ascending trend for Facebook and descending for Snap, confirm the success of Mark Zuckerberg: 200 million users tell their lives through the “Stories” of Instagram compared to the 166 million who do it on Snapchat. That Snap has become Facebook’s research and development laboratory should be worrying, even though the numbers indicate that Zuckerberg is doing better than ever and that shareholders who put their trust in the competition are little less than dismayed by disappointing numbersThe new interface of Messenger is anything but useful, light and intuitive. The integration of the “Stories” in WhatsApp seems to be nothing short of absurd, as if Facebook did not know better than us how the application is used. Facebook takes months without launching a substantial development in the operation of its applications and services. And it is true that in their laboratories the technology that can change the world is developed, but in its products it is not possible to see any trace of that overflowing and groundbreaking ingenuity that is hoarded in its offices. The reality is that Facebook wins by brute force. For the almost 2 billion users who use their social network matrix, and because they know how to manage their power and where, how and when to use it to attack. 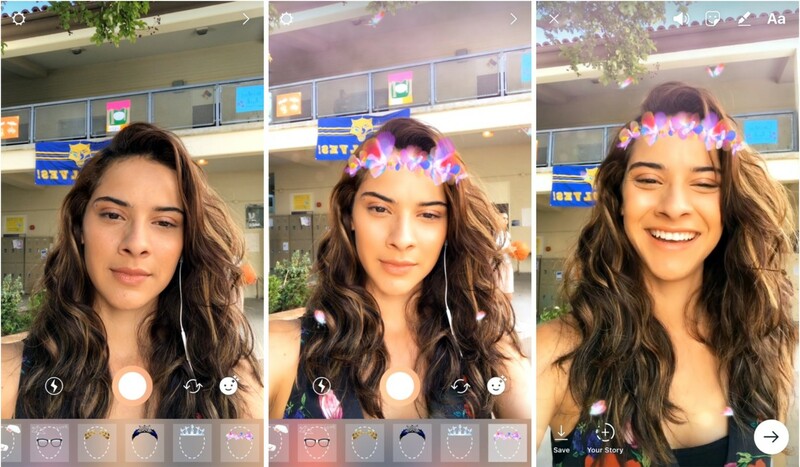 The last thing they had to copy from Snapchat are the filters for “selfies”. And this Tuesday they have presented them. It has not surprised me, of course. Yes, the limited number of them, their lack of originality and the operational problems reported by many users. More than plagiarism, it remains a substitute. Do we have to accept that everything Facebook does is good because their numbers are unbeatable? Do you have to settle your users with this because it is the application that your friends use? I ask this because those who sowed the enemy lands with salt saw centuries later their empire devoured by the barbarians.